Agricultural produce requires a temperature-controlled environment to preserve freshness and reduce spoilage. While this is important in your own business, it is also important to partner with a logistics company that utilizes cold chain transportation to ensure your products arrive safely. With cold chain transportation methods in place, we can effectively limit spoilage and preserve the storage life of your fresh produce. With cold chain transportation, produce is sent through an uninterrupted transportation chain that ensures a consistent temperature range is maintained for the duration of the process. To achieve this, our delivery trucks use reefer units to provide precise temperature control throughout the transportation process. To further improve efficiency and preserve the freshness of our produce, we also use cold chain compliant, real-time temperature monitoring each step of the way. Aside from the preservation of produce freshness, produce that isn’t shipped at the proper temperature can lead to foodborne illness. If cold chain processes are broken, consumers can potentially become seriously ill if bacteria has had the ability to culture. Because we consistently monitor product temperatures throughout the transportation process, you can be sure that your products will arrive safely without the risk of potential illness as long as you maintain proper storage methods. At GoFresh, we are committed to not only providing the freshest produce possible but ensuring food safety is a priority. From cold chain transportation methods to immediate cold storage that varies based on the product, our cold chain processes are unbroken until the product arrives at your business’ storefront. No matter what your fresh produce needs are, the experts at GoFresh are here to help satisfy your needs with the freshest produce possible. It is our mission to provide the freshest, highest-quality fruits and vegetables available. 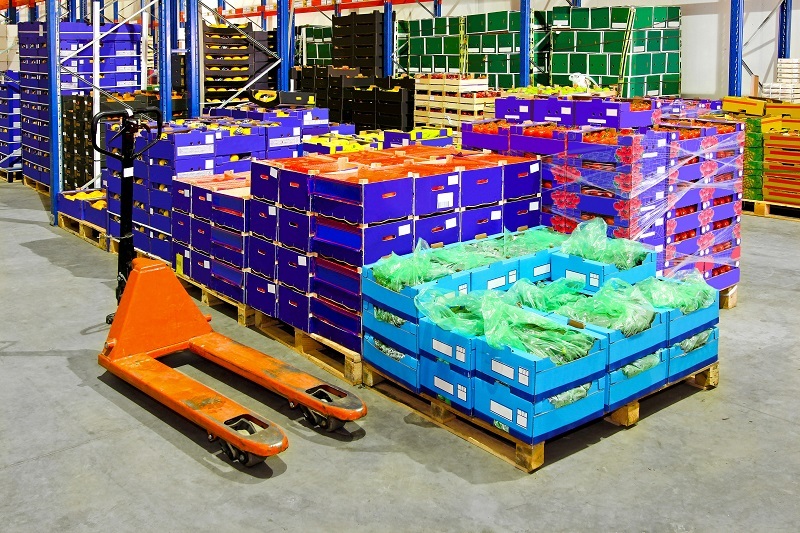 By utilizing cold-chain processes and providing date indications for successful rotation, you can rest easy knowing we have your safety in mind. If you are looking for a reliable foodservice distribution company to fulfill your fresh produce needs, GoFresh is here to help. If you are ready to get started, contact us or call us at (800) 725-1151 today!